The drive for social and economic justice for coffee producers has been growing steadily over the last decade, yet we still have a lot to accomplish. We have an idea of what this social and economic justice looks like, and how it can be measured: through line items that can be objectively verified, such as price, working hours, and so on. However, what we still need to decide is how to achieve it. And as we increase our awareness of the issues facing producers, we can advance in one of two directions. We can become more granular in our analysis of coffee practices, focusing on the micro details. Or we can take a macro approach by analysing the structure of the supply chain and suggesting changes to make it more equitable. I’d like to argue in favor of the latter – and I suggest that one of the best ways to achieve this is by encouraging and enabling producers to operate micro mills on their farms. WHERE DOES A FARMER’S BARGAINING POWER COME FROM? To understand coffee farmers’ bargaining power, we need to look at their place in the supply and value chain. Let’s break this down a bit. Although it will vary by location, the basic coffee value chain actors are the farmer, consolidator (e.g. a cooperative), exporter, importer/distributor, and roaster. We’re going to look at a basic law of economics here, which is that the bargaining power of members of value chains and supply chains is based on their dependence on others, and others’ dependence on them, for resources. This resource dependence is based on the importance of the resource and the concentration of its control. The former is broken down into magnitude – how much you use it compared to other things – and criticality – the (in)ability to operate without it. The latter is based on how many sources you have through which to access the resource. A supply chain actor in a strong position over its suppliers – one that has many sources from which to buy the resource, one that can operate without it, and one that doesn’t use the resource very much – will push down the price it pays. A supply chain actor in a strong position over its clients – one that possesses a resource the client uses a lot, cannot operate without, and cannot purchase from many places – will push up the price at which it sells. After each process of value addition, the resulting product is sold for a higher price. Since it’s easy to see the enormous price difference between coffee cherries and a cup of brewed coffee, there’s been a huge focus on adding value, on being able to capture that higher price for the value-added product. But this only works if value can be added efficiently and effectively, and if a market both exists and is accessible for the value-added product. In the chart above, the industry actors are on the left and the value-added processes are along the top. If we look at growers, there is only one value-added column in which they are the only actor (growing). 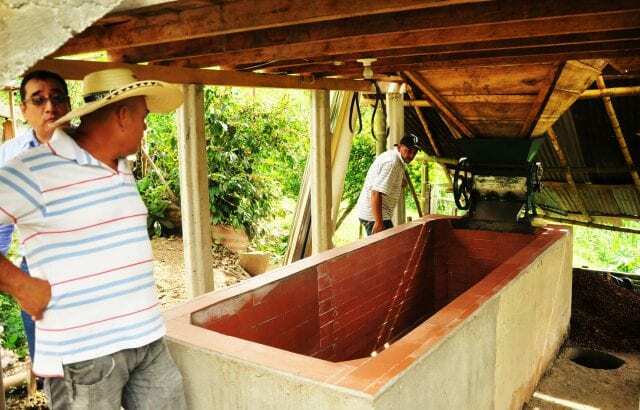 This means that, in some cases, they can do nothing but grow the plants while an intermediary carries out the rest of the work up to parchment, dry milling, or even exporting. 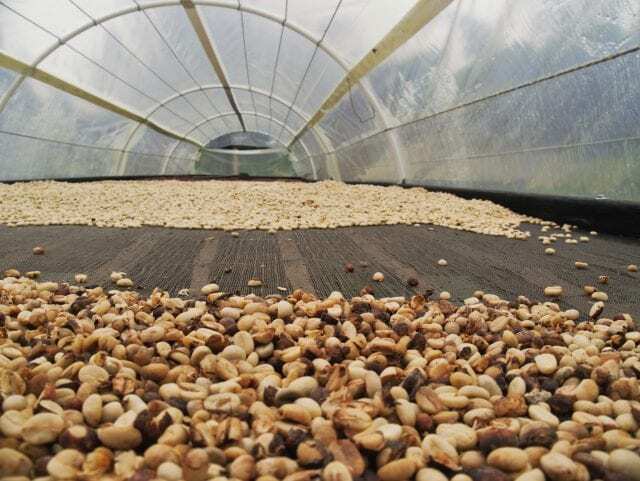 In other cases, they can viably and at a low scale process their own coffee up to the parchment (or dry cherry) stage. The tasks that the growers carry out strongly impacts on their level of dependence on the next actor in the value chain. WHO’S DEPENDENT ON WHOM IN THE COFFEE VALUE CHAIN? Freshly picked coffee cherries are both heavy and highly perishable. This means that if they’re not processed on the farm, they must be delivered to a nearby wet mill very quickly. 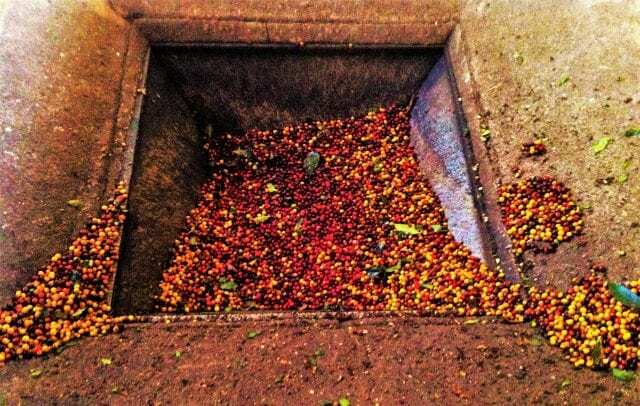 But in rural areas with little transportation infrastructure and where small-scale farming is performed, it’s unlikely that there will be many options as to where to bring farmers can bring their coffee cherries. As of such, the wet mill benefits from the concentration of control and the farmer is highly dependent on said wet mill. Producers will likely accept whatever price is offered, because there’s no time to shop around or wait for supply-demand conditions to change. The wet mill, however, is itself a scarce resource. It’s likely not dependent on any one farm. What’s more, farms needthe wet mill, meaning that it benefits from criticality. A coffee cherry without a wet mill has little value, if any, as it cannot be consumed as is and spoils within about 12 hours. Growers without in-house wet mills are totally dependent on nearby centralized mills and have virtually no bargaining power. If, on the other hand, growers are able to wet mill and dry their own coffee to the parchment state, it’s both more portable and not nearly as perishable. This gives growers more options as to whom to sell their parchment coffee to and when (concentration of control). In many (although not all) areas, there are several, if not dozens, of exporters operating and farmers can offer to all of them – even if they have to use mail, the bus, a messenger, or other creative means. Furthermore, the product is worth more due to the value that was added to it in the wet milling process – and all of this extra value can be captured by the farmer. When there are enough growers and exporters operating, and they are dealing with a relatively non-perishable product, neither party should be highly dependent upon the other. Producers won’t be forced to accept the price offered in the moment, and so economic sustainability will be easier to achieve. In many areas, small farms aren’t accustomed to wet milling and drying their own coffee due to a lack of equipment and/or expertise. In others, like here in Colombia, it’s the norm thanks to many years of hard work and investment in the sector. However, small farmers typically don’t have sample roasters and cupping labs. Similarly, there often isn’t a culture of careful monitoring and record-keeping. As of such, processing usually isn’t perfectly optimized to maximize cup quality. Since most coffee is purchased based only on physical quality, there was little interest in cupping feedback before specialty – which is a relatively new concept considering that wet milling techniques have often been passed down three generations or more. Do you want to tell a farmer her great-grandfather was doing it wrong? So instead of completing the feedback loop and helping farmers to improve, there’s been an interest in centralizing the wet milling of specialty coffee – in shifting this function to those few with the greatest understanding of how the processes work and how to create the best product utilizing them. This is certainly the most efficient way to create spectacular coffees, but the grower is no longer adding this value to the product. And you might argue that, in a specialty industry, a well-intentioned wet miller will happily pay a good price for the cherries. The grower doesn’t need bargaining power. However, the fact remains that the producer’s bargaining power is significantly diminished as they shift from producing parchment coffee to simply producing coffee cherries. If that were to continue between generations, small farms would lose the ability to wet-mill their own cherries and be stuck in that position of low bargaining power, beholden to the wet mill. This economic structure could then be used to diminish farmers’ bargaining power in the future; there’s no guarantee that new owners of the wet mill will continue to pay a fair price. Micro mills in small-scale specialty coffee farms can help farmers to significantly improve profitability and economic stability. They add value and provide bargaining power by allowing the farmer to produce a non-perishable product to sell to a larger pool of potential buyers. They also make it easier to keep single-farm microlots separate. 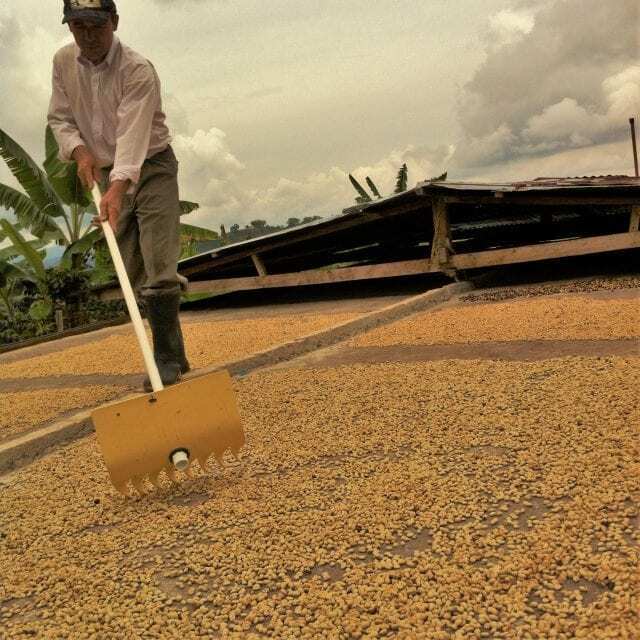 If the beans arrive to roasters that way, and are appreciated, this creates demand for the individual farm’s unique coffee – no matter which other actors were involved in delivering it. This is excellent for farmers and their economic sovereignty. We realize that on-farm micro-milling isn’t always feasible, however. A large variety of conditions and circumstances can make it impossible. Farmer-owned central wet mills, under equitable structures such as member-owned cooperatives, are another possibility that could result in a sustainable net gain for producers. 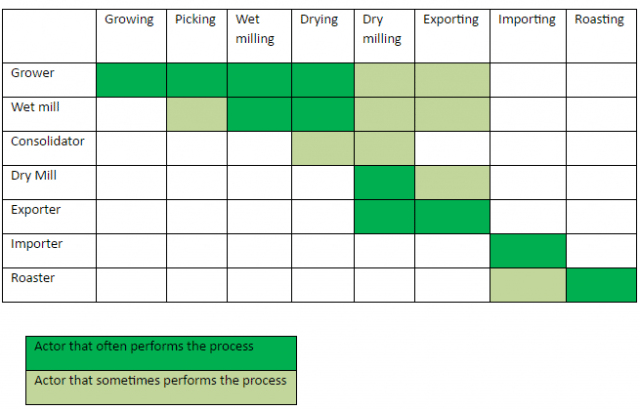 Yet while micro mills and central wet mills can provide economic sustainability for producers, implementing and executing them is neither simple nor intuitive. Small farms and member-owned organizations will only be able to capture the full potential of the value-added processing if they have access to technical assistance. That includes cupping feedback and how to perform meticulous and conscientious monitoring. As stakeholders in the specialty coffee industry, we need to recognize the importance of this. 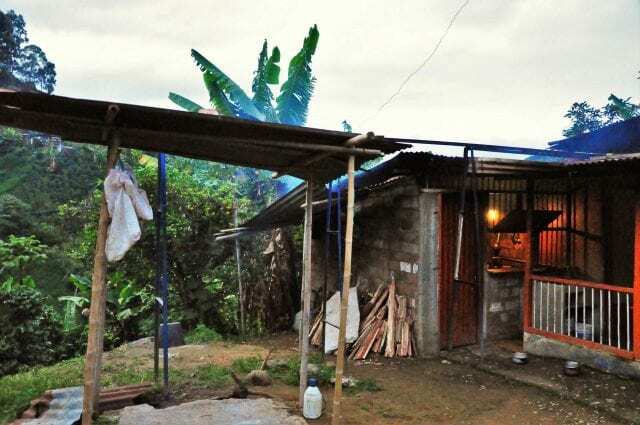 There are several organizations dedicated to providing this assistance, as well as opening marketing channels, including De La Gente in Guatemala, Direct Origin Trading in Colombia, and Exclusive Coffees in Costa Rica. If you’re interested in supporting farmer sovereignty in the specialty coffee supply chain, these are good places to start. Written by K. Wienhold, Founder of Direct Origin Trading.